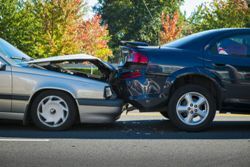 Do I need a lawyer to handle my property damage claim after an auto accident? ?I was injured in a car accident. It was clearly the other driver’s fault. I don’t want to sue anyone. I just want to be treated fairly. Do I need a lawyer? ?Should I give a recorded statement to insurance adjuster after an auto accident? 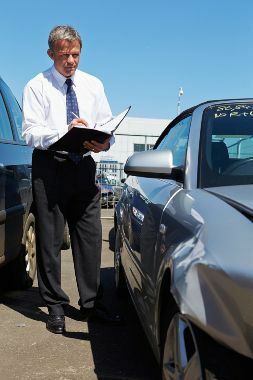 ?Do I need a lawyer to handle my property damage claim after an auto accident? Property damage claims arise when your car is damaged in a wreck or collision that was not your fault. The responsible driver’s insurance company will assign a property damage claims adjuster. The adjuster is responsible for resolving the claim in the way that is best for his employer. He is employed by the insurance company. Property damage claims are generally easier to resolve than bodily injury claims. The insurance company should pay the cost to repair or replace your car. You may need a rental car. The cost to repair your car can be established by a reputable repair shop. The cost to replace can be established through on-line research. There may be an additional claim for diminution in value where your car has had extensive damage. So, why do I need a lawyer to handle my property damage claim if I was not injured? Chances are, you don’t. Like anything, some of these claims get complicated, but many are straight-forward. Lots of people are capable of handling this process by themselves without a lawyer. Some people change their own oil. Some people handle their own propety damage claims. When should I get lawyer to handle my property damage claim? People almost always say something in conversations with the insurance adjuster for the property damage claim that diminishes the value of their bodily injury claim. They might make a comment about the accident that causes the adjuster to deny the claim altogether. Or more commonly, they make comments about their injuries or medical treatment that dramatically reduce the value of their claim. Most of the time, they never even know what they said. They may never know that they should have received more money. They go on thinking that is the way it works and they don't get the medical treatment and compensation to which they are legally entitled. If you are in North Carolina, it is best to call us now. Ask questions. Get information. Then decide how you should proceed. The information is free. There is no obligation. The adjuster knows how it works. You should, too. How much does it cost to get a lawyer to help me with my property damage claim? If we represent you on an injury claim, we handle the property damage for free. We don’t charge a dime. We don’t charge a fee up front. We do not charge a fee on the back-end. We do not charge a fee at all. Why does your law firm help people with property damage claims for free when you are representing them on their injury claims? I think we get a little more money for property damage claims than you would. It is not because we are smarter than you are. It is simply because we are more familiar with the process. It is something we do every day. However, that is not the only reason we do it. We handle property damage claims for our injured clients in order to prevent the common mistakes that people make when they handle these claims on their own. These mistakes can cost them hundreds on a property damage claim and thousands or tens of thousands on a personal injury claim. It is our job to make sure people are treated fairly for their auto injury claims. We take that responsibility very seriously. If you have questions about this or anything else relating to your auto injury claim, please give us a call at (910) 341-7570 or toll free at (877) 593-4233.